Yes. All items are guaranteed authentic. 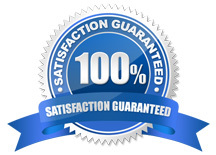 Before any item is posted to the website, it is checked by two authenticators who specialize in that brand. 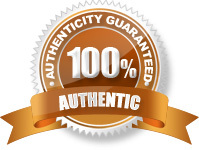 We are so confidant that all items are authentic that we offer a lifetime return policy should any items we sell be proven to be non-authentic. Modish StyL has several options for paying for your items. Our shopping cart is connected to PayPal’s secure servers, but you may request a Google Checkout invoice, or call us at 703-314-8982. We place a security tag on each bag that we sell. It is not removable without scissors. It will not damage the bag in anyway, and is easy to remove but it just is not re-attachable. If you wish to return the bag for any reason, it must have this tag attached. Yes. For domestic items shipped UPS Ground, we charge a low, flat $6.95. This includes shipping, handling, packaging, and insurance. Items over $250 will be shipped for Free.